Based on the AOSP release of Android 6.0 Marshmallow, team CyanogenMod has been working hard to polish the CM13 custom firmware. The Nightly ROM is now also available for LG G4. If you have been looking to try a Marshmallow based custom ROM on your flagship smartphone, this ROM brings the usual CM tweaks, customization choices and the features of Android 6.0. Follow this guide to update LG G4 to CM13 Android 6.0 Marshmallow. Note: this is not a final build, which means there could be issues like boot loops or some features not working. If you stuck anywhere, you can always go back to your stock firmware or any other stable ROM. Backup any important data from your LG G4 as a complete wipe will be required during the flashing process. Enable USB debugging option on your device. Your LG G4 must be charged to at least 70% of power. 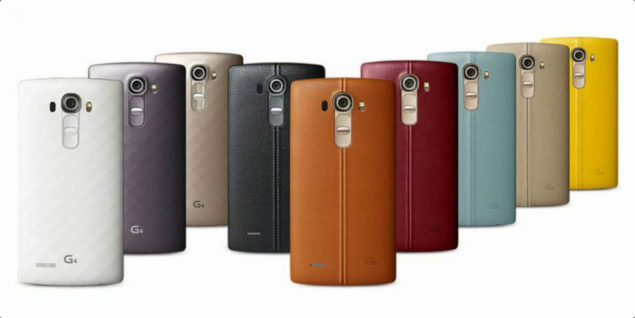 Required files: download CM13 Android 6.0 for LG G4. Save the file on your computer, but do not extract the contents. Also download Google Apps Package (ARM64). Connect LG G4 to your PC using a data cable and copy the zip files to your device’s SD card. Disconnect the USB cord and turn off your smartphone. Boot LG G4 into recovery mode: switch on your phone while pressing and holding Volume Up + Power keys together. Perform wipe data operations: from recovery menu, select wipe data / factory reset and confirm the process. Also clear wipe cache partition and wipe dalvik cache. Go back to main menu from the recovery menu, select install zip from sdcard followed by choose zip from sdcard. Locate the CM13 Android 6.0 Marshmallow zip file and confirm the flashing process. When done, repeat the above step, but choose GApps package file instead of the firmware file. Return back to main recovery menu and reboot your LG G4 into the new ROM. First boot takes a good few minutes, so please be patient. Do you like the Marshmallow sweetness paired with CM tweaks? Do let us know how the ROM behaves on your LG flagship smartphone.